This is the famous Lucille Ball car. It was used by Lucille Ball and the cast of "I Love Lucy" on many episodes of the classic TV show. 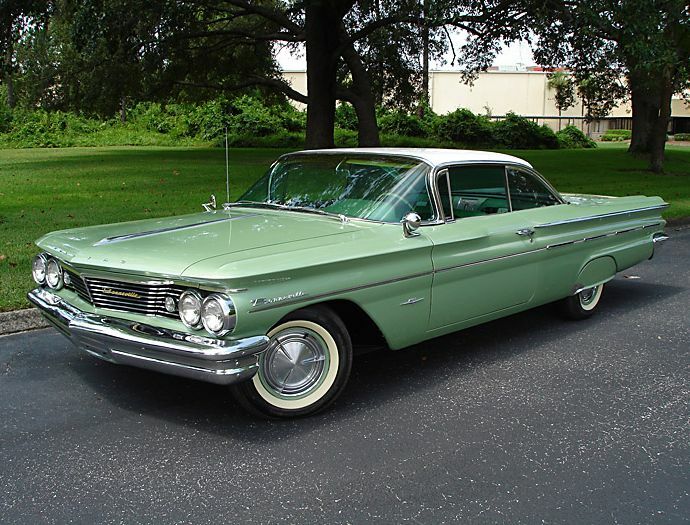 It was prominently featured on the episode 'Lucy Learns To Drive' and 'Hollywood Here We Come'. 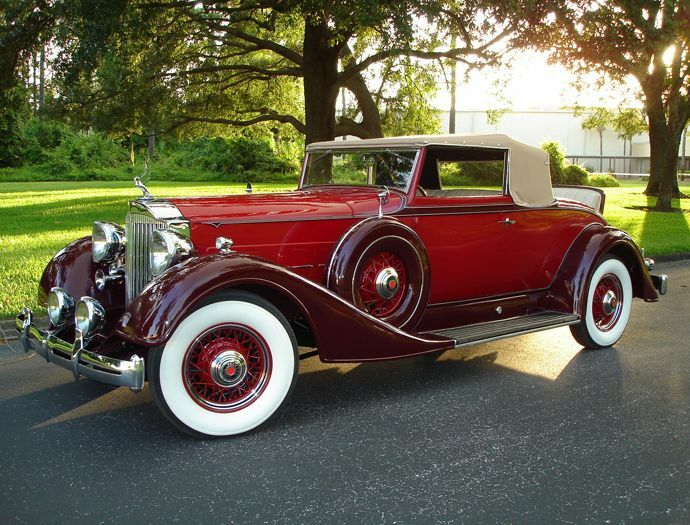 This is one of three Packards we have lovingly restored for our collection. Painted in two-tone maroon, the hood ornament is a glorious Art Deco figure of a woman holding a disc. Every detail of this car is perfect, with shining chrome, plush interior, and intricate original trim. Featuring the stunning waterfall grill that shimmers in the light, with a cormorant hood ornament. 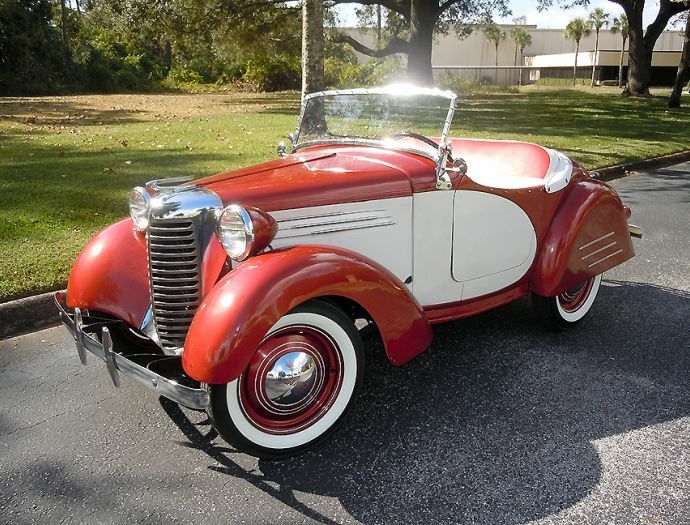 Painted in two-tone maroon, with a leather interior and a cool rumble seat in back. This is the third car in our collection and was purchased in 1967. Bantams were built in Butler, PA until 1941 just before World War II. They went into design for the very first jeeps, but lost their contract to Willys and Ford. The reason was they were to small and could not be built fast enough for the war efforts. This tiny American Bantam is great for retro-themed photo shoots. This perfect wedding vehicle is all original, in a shimmering shade of blue. It is the largest in our collection. The flat head V-8 engine is the same motor that was used in World War Two planes and tanks. This cream-colored beauty is a perfect choice for your wedding day. 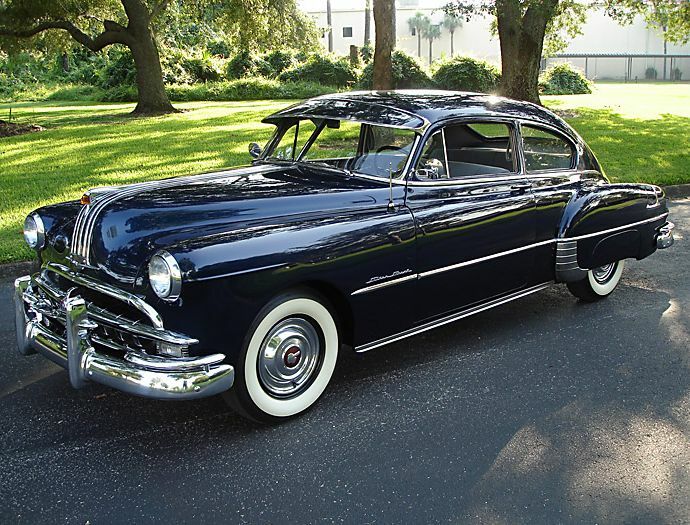 Graceful lines and sparkling chrome make this Pontiac a work of true automotive art. 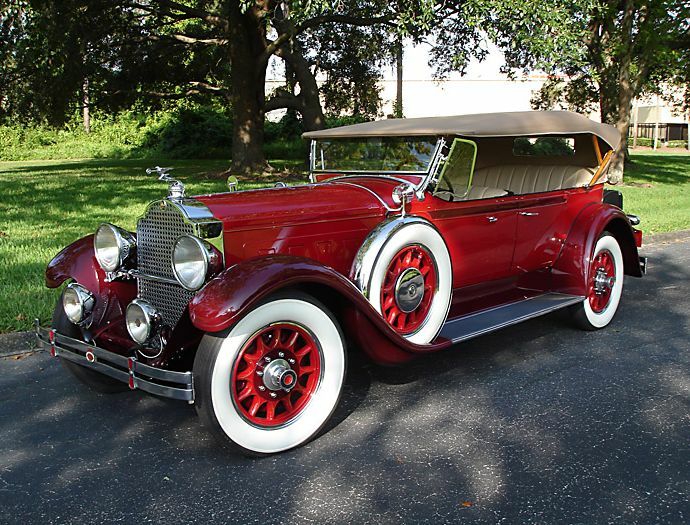 It is a Cabriolet with Rumble seat, featuring an Art Deco Indian Head hood ornament. This car was a Senior award winner in its class. The exterior has all of the accessories that were made for this model, and all are original. 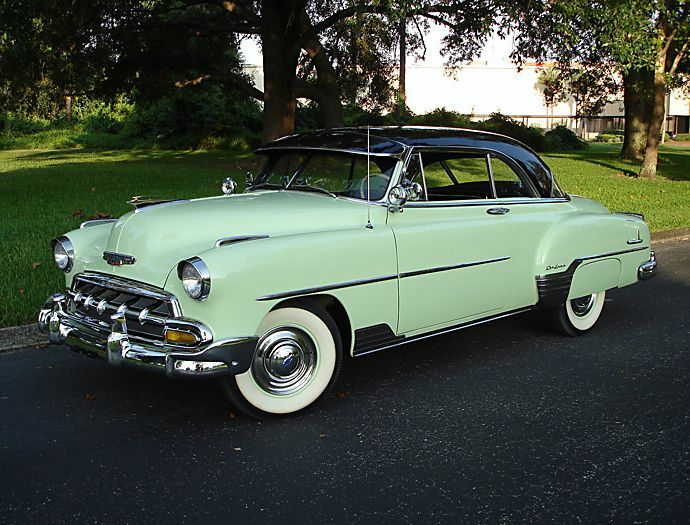 This Chevy model was a sensation from the day it was introduced, and remains wildly popular. 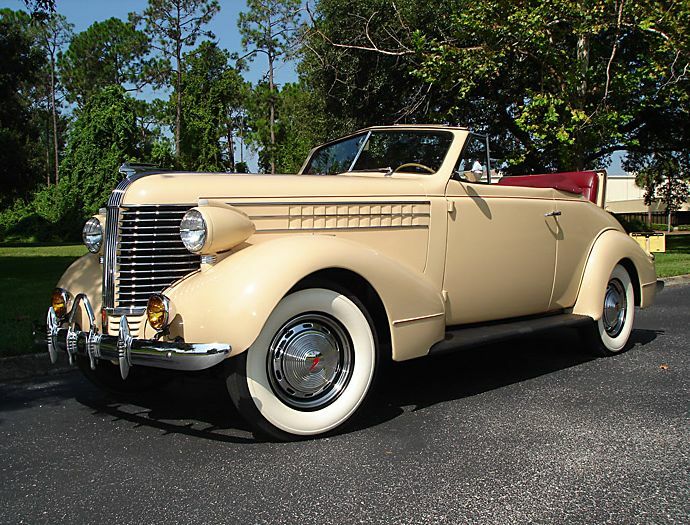 This curvy, elegant cream-colored car is our most popular choice for weddings. The dark red interior makes for beautiful photos of the bride and groom. Sparkling brightwork and bold, classic lines make a dramatic statement. A great choice for weddings, in classic black with elegant lines and a comfortable, luxurious interior that seats up to nine passengers. 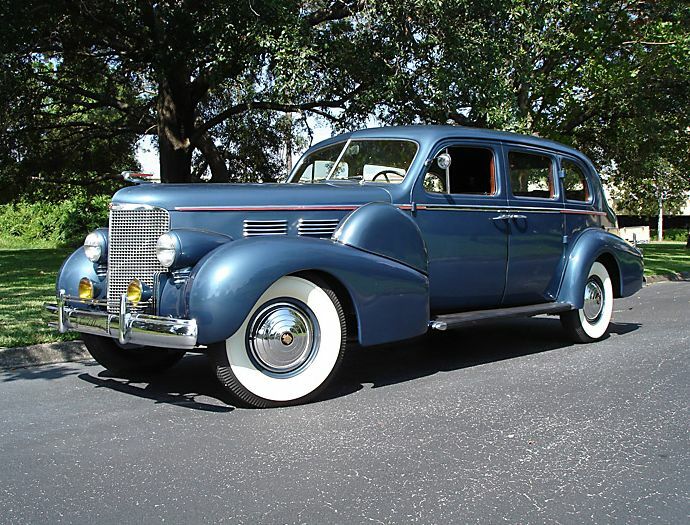 Also known as a Fleetwood Series 75, it was one of the first limousines made in America in the postwar years. 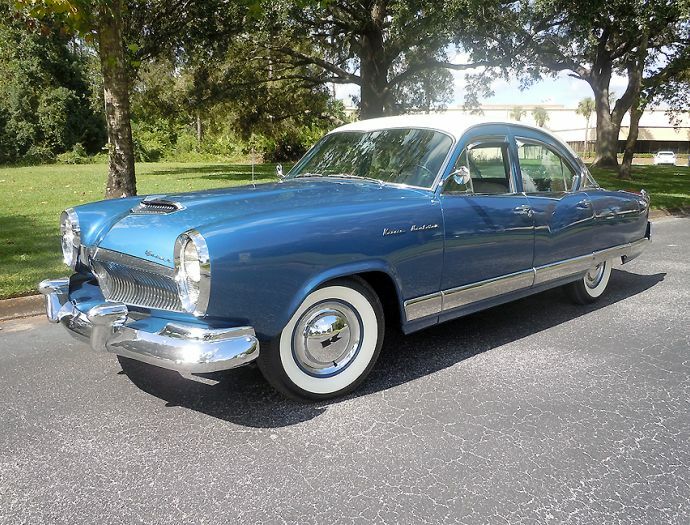 This sleek two-door Aerosedan fastback model was marketed as a patriotic American sedan in the post-war era. 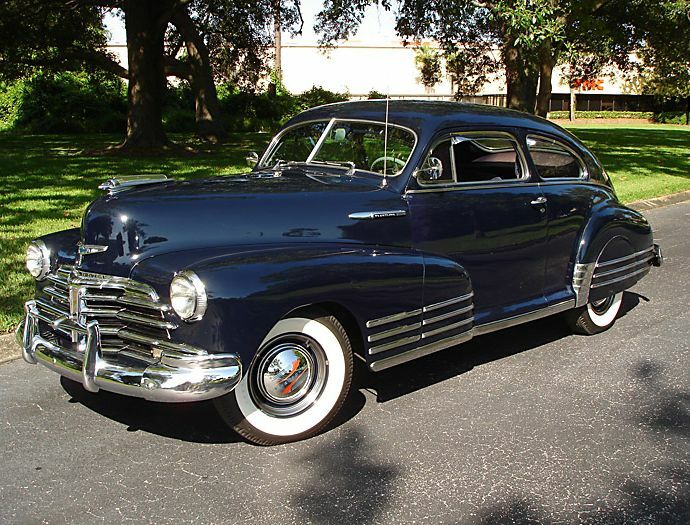 Collectors appreciate the massive chrome grille and beautiful dashboard detailing. 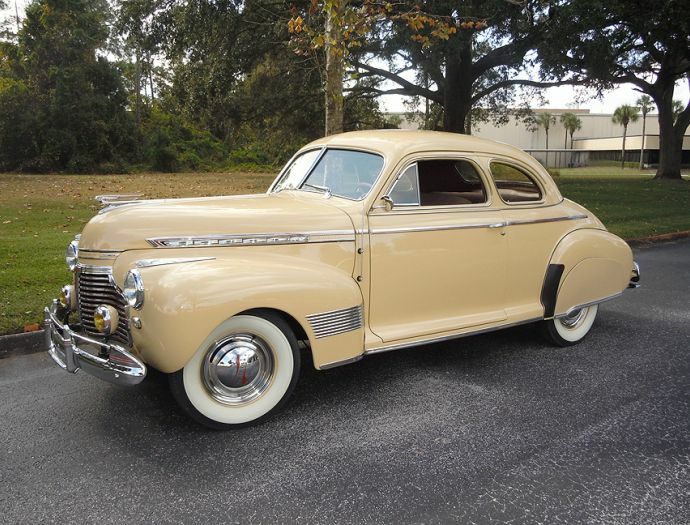 This Streamliner Sedan Coupe The beautiful amber colored Pontiac Indian head hood ornament lights up when the car lights are on. Gorgeous honeydew melon color. The Impala hood ornament weighs six pounds and is plated in 24 karat gold. Stylish visor keeps the sun out of the driver's eyes, and side spotlights enhance your ride in the evenings. This car won the Senior award, the top award for restoration. The futuristic eagle hood ornament is inspired by the 1950's fascination with space travel and aviation. 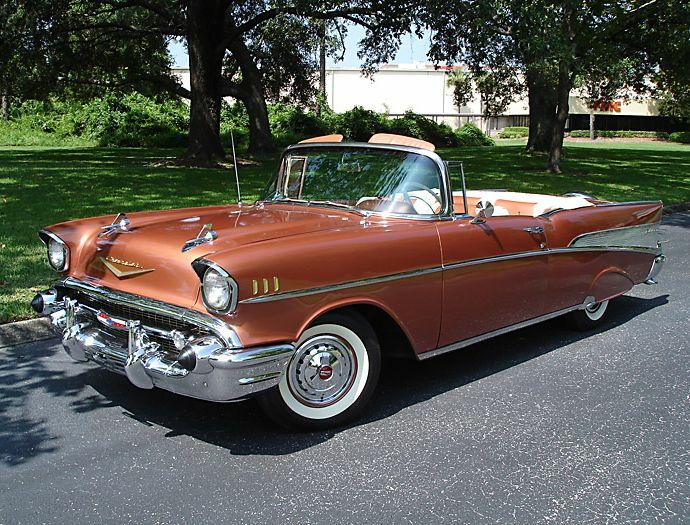 This lovingly restored Bel Air is done in an unusual two-tone orange and white color scheme. 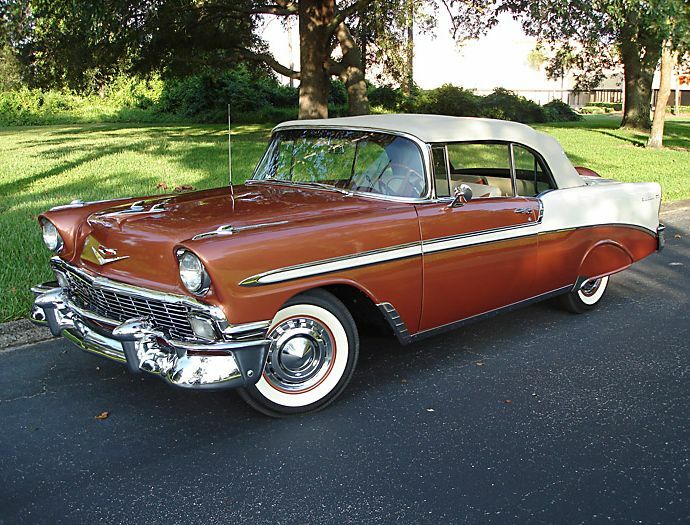 The 1957 Bel Air is among the most recognizable American cars of all time. It's a popular wedding car for vintage-inspired nuptials. 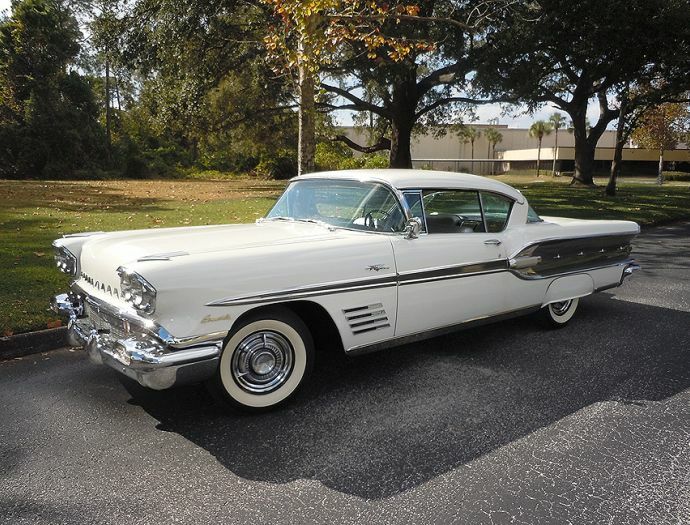 Retro-futuristic details include twin rocket-shaped hood ornaments and front bumpers. Designed by Dutch Derrin, with many unique styling elements. It has a heart shaped windshield and rear shield. The back tail lights cover the entire back end. Sleek space-age design with chrome rocket ship trim going down each side. It is meant to evoke space travel, with white stars on the headliner and carpet inside. 300 horsepower tri-carb engine offers plenty of driving power. 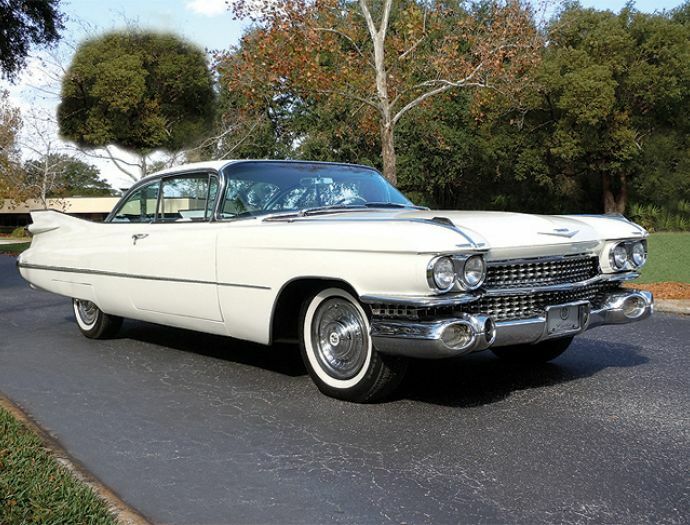 This 1959 Cadillac Coupe deVille is one of the most iconic years with its outrageous tail fins and jet pod taillights. But what style she has, with her queen-size hood, beautifully detailed grille, airy glasshouse, and of course, massive in size. 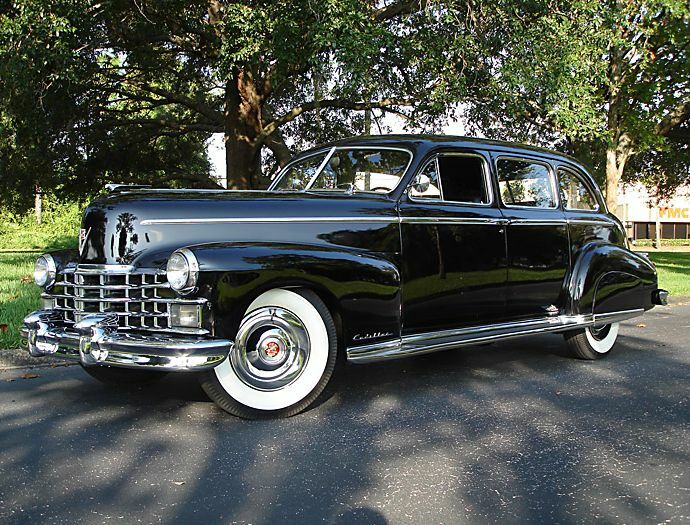 Known for its dramatic fins, this model was styled by Dodge's Legendary Designer, Virgil Exner: Father of "The Forward Look". The interior detail and dashboard are spectacular examples of 1950's design. In a year of many dramatic designs, one of the biggest winners was the newly designed Wide Track Bonneville. 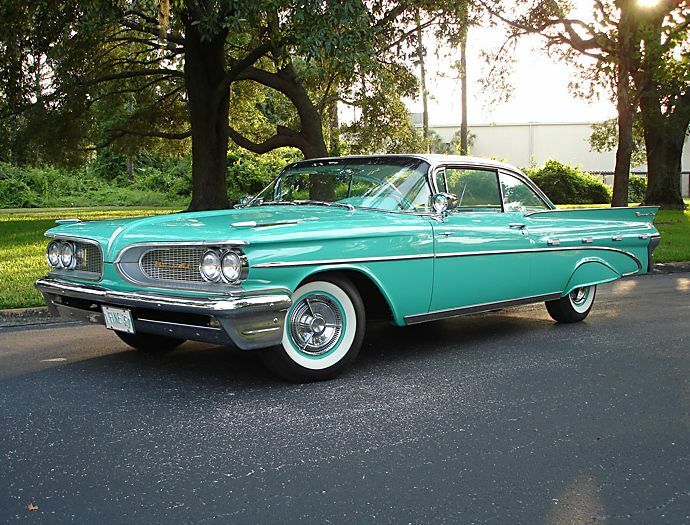 In earlier years the model was known as a 'grandma car' but in '59 the flamboyant, redesigned Bonneville with a more powerful engine was a huge hit. 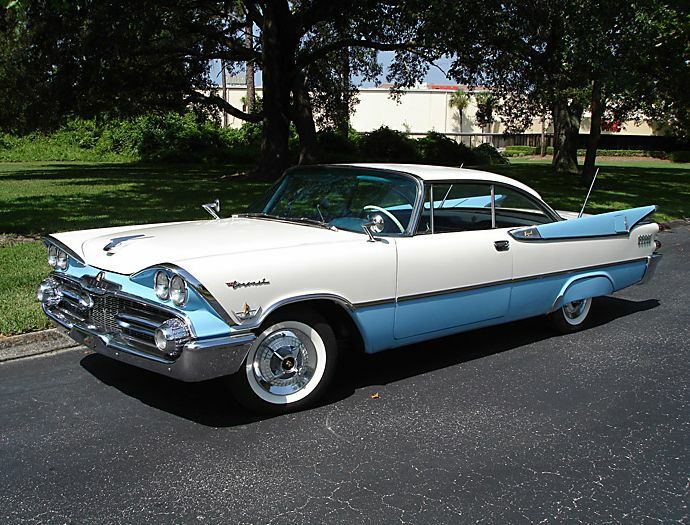 This was the model that introduced the signature Pontiac split grille, and it remains a hot model for collectors to this day. Mint green with a slick tri-color interior. This model is famous for its futuristic shark fin grille and rocket-tube tail lights. Popular model when introduced, due to its Wide-Track wheels and Tempest engine. This classic muscle car combines power with sporty styling, making it the 1965 Motor Trend Car of the Year. Beautiful dark red vinyl interior contrasts nicely with the clean white exterior paint. This is an ultra-rare modified Chevrolet Camaro prepared by Yenko Chevrolet, under the command of Don Yenko. 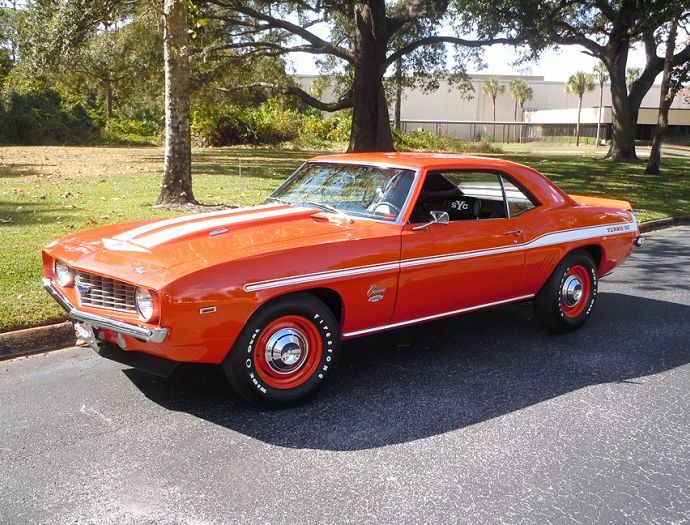 Chevrolet had strict limits on the engine power in its standard models, so Yenko purchased hundreds of Chevy's and modified them to make them more sporty and powerful. 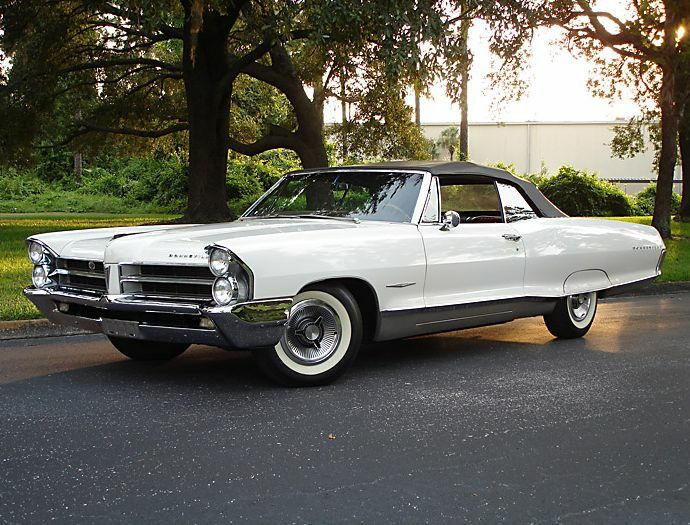 Only 201 of these cars were sold in 1969, making it a sought-after collector's item. 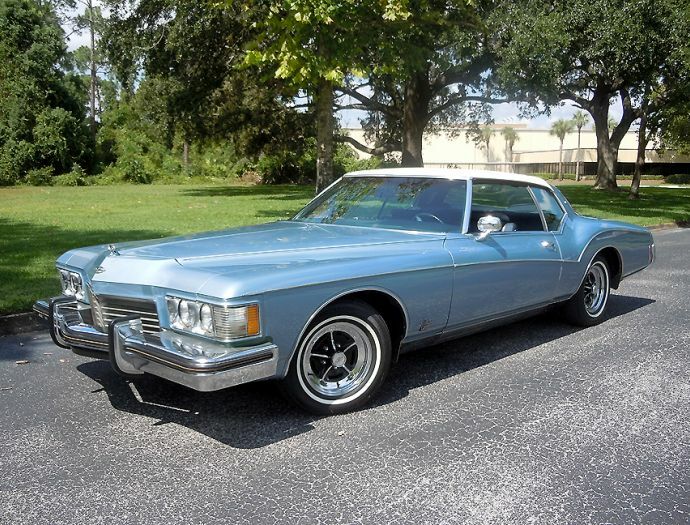 The Buick Riviera was dramatically restyled with a slick boat-tail in the early 1970's. This car features the "Gran Sport" package, with a rear stabilizer bar, JR78-15 whitewall steel-belted radial tires, a specially tuned "radial roadability" suspension, additional sound insulation and special "Gran Sport" badging. 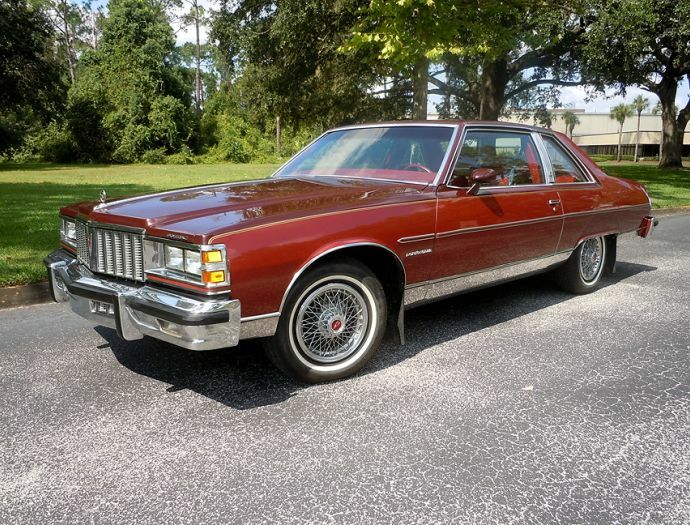 A late-70's classic, this American beauty is one of the last models to have a true Pontiac engine. Known for it's sporty luxury, this is the car for a 'man's man'. 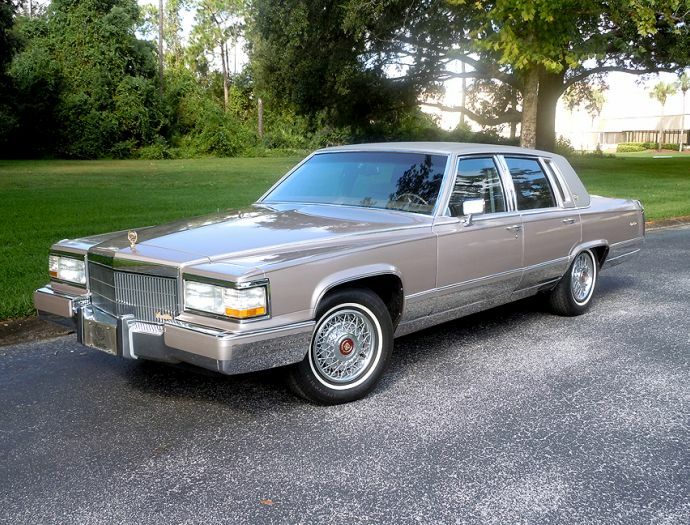 The Brougham d' Elegance featured what Cadillac proclaimed as "contemporary yet classic exterior and interior restyling." This view was justified by a major revamping of the long-lived Brougham package. This special edition model, option code V4S, had a specific interior trim design including tufted multi-button seats, three overhead assist handles, six-way power passenger seat adjuster, illuminated driver and passenger visor vanity mirrors, rear sail pane reading lights, Twilight Sentinel, power trunk lid pull-down, and exterior/interior identification. Our mission is to provide you with luxurious automobiles for that special event or occasion. 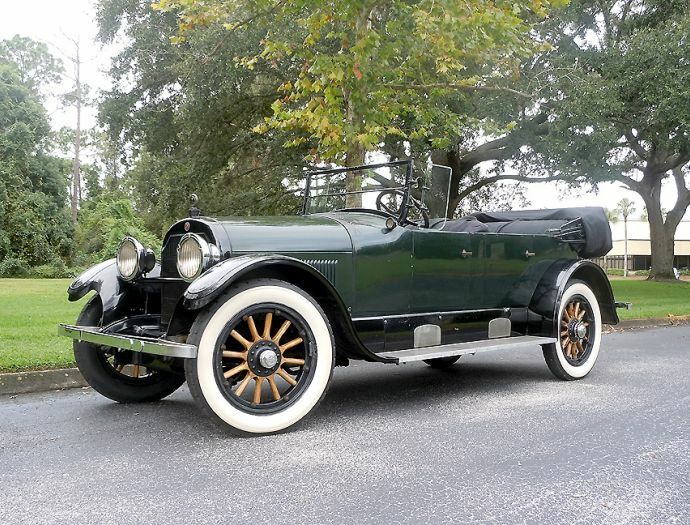 Cole's Classic Cars can supply you with antique, exotic, racing and special interest automobiles from the roaring 20's up 'til today's newest styles. Whether it be for use in a convention display, fashion, movie, advertising, commercial or any other event, we will supply those special vehicles that best fits your needs. 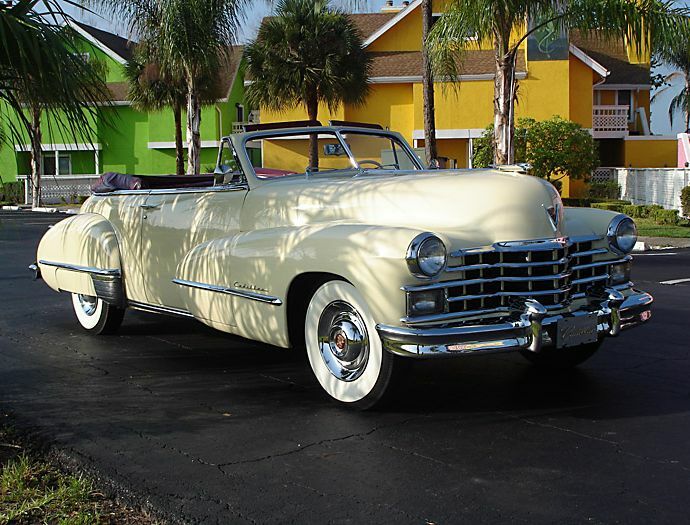 Coles Classic Cars is family owned and operated, serving Central Florida area since 1971. We have done many exciting jobs here in the sunshine state, for example - the Super Boy Episodes, Movie Star Motorcades at Disney, The Movie "OSCAR", Commercial for Lacrosse Sports, Music Videos with "Natural" and "Vin-Detta", numerous commercials with Movie Stars, magazine shoots with Alloy out of New York City, Cosmopolitan, Fortune, and High Performance Pontiac. We also specialize in finding any kind of hard to find props for stage set-ups.